Eventually, you and your guests are going to want to branch out from Buzzard Bay’s Dock and Dine 101 Venue – The Chartroom and when you do, I recommend Sandwich Marina. I first discovered this cute little harbor years ago when the Pilot House was still the Aqua Grill. Back then, the Aqua wasn’t very good, but for those us in smaller center consoles, it was our first alternative to The Chartroom. 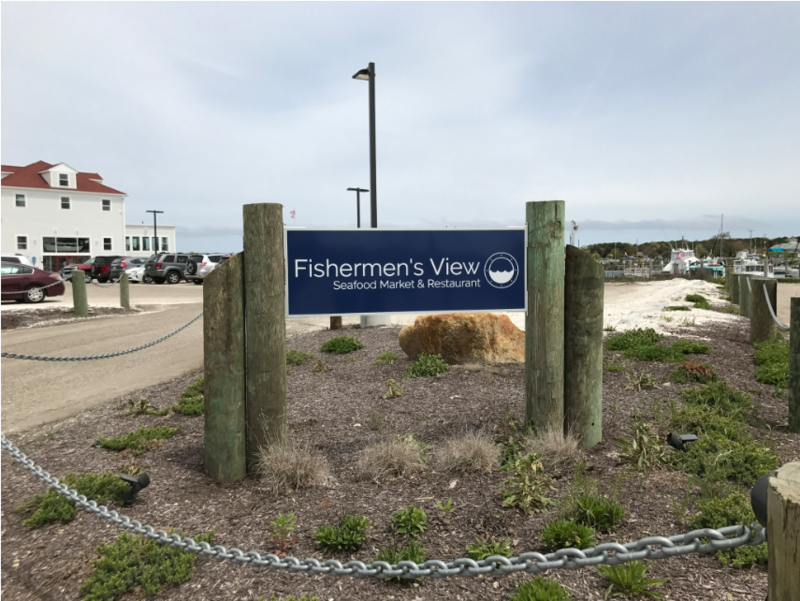 Unlike Kingman Marine — which offers The Chartroom as its only dining option, Sandwich hosts two excellent seaside eateries; The Pilot House and the new Fish View Restaurant. As Dock and Dines go, this is a pretty easy in – easy out spot, but be advised, there are no reservations for lunch. That said, in all my years of visiting, I have never been turned away. The first time I called, the dockmaster told me that everyone who was leaving after staying overnight had to be out by noon and those arriving weren’t guaranteed space until 2:00 PM. Knowing this, I always try to time my arrival between 11:45 and noon. The dockmaster hangs out in the gas shack southeast of the Coast Guard dock. His VHF doesn’t work very well, so it may be best to call him on the phone, or just pull up and shout. Be advised that the wind and currents in this micro harbor can be tricky, so make sure you check them out before entering and take them into account in your docking strategy. The small scale of the harbor will immediate urge you to slow down to a creep, but as a general rule, I find that a deliberate approach works best. There are three problems to creeping into Sandwich Marina; the cross wind, the swirling currents coming in from the canal, and the commercial fishing boats that have no patience for nervous recreational boating rookies. The typical day docking spot is on the northwest side of the gas dock. This is pretty long pier. Yesterday there was a 60′ Viking parked when we arrived and even after sliding Vigilant in behind, there was plenty of room for 2-3 more boats. I did arrive once when this dock was full and the dockmaster found us another spot. I told him about an hour, gave him a twenty, and he said thanks alot and took off for lunch. When the time comes to leave be sure to check the wind direction and tell your crew your departure strategy. It’s likely that you’ll need to have anyone on the dock push off and jump quickly to get away from the dock. Finally, make sure you carry some speed leaving the marina. Not only will the canal currents push you one way or another, you may also get bullied by one of those crusty commercial fishing boats!